Nike today updated its popular Nike+ Run Club app to add several new features to support recent Apple hardware and software updates. The Nike+ Run Club app now support Siri Suggestions, allowing Siri to suggest ideal times for a run based on run history. Siri Suggestions can be enabled by going to Settings > Siri & Search > Nike Run Club. On the Apple Watch, the Nike+ Run Club app now offers complications that are designed to be used with the Infograph watch faces on the Apple Watch Series 4 models. Nike recommends using the Apple Watch app on the iPhone to add and customize the new Nike Run Club complications. 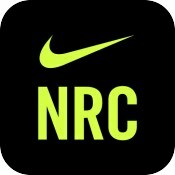 Nike can continue to dress up the NRC app all it wants, but the performance is still garbage. After logging 30,000 miles with Nike+ since 2010, I've finally given up on trying to get the app to work properly on my Nike+ version of the Apple Watch. So disappointed, as Nike+ was a great motivational tool when it worked properly. Sadly, that hasn't been the case for the past two years. I wonder if these complications are only for the Nike+ version of the watch. They certainly don’t show up on my S4..
NRC doesn’t sync all data (maps in particular) to Health nor can you do any coaching sessions without the iPhone - even with a cellular Watch. Not good enough. No thank you Nike. This and you dropped the website interface for run logs/routes? Your advertising says I should believe in something. I believe the Apple workout app is just fine. Bye NRC.